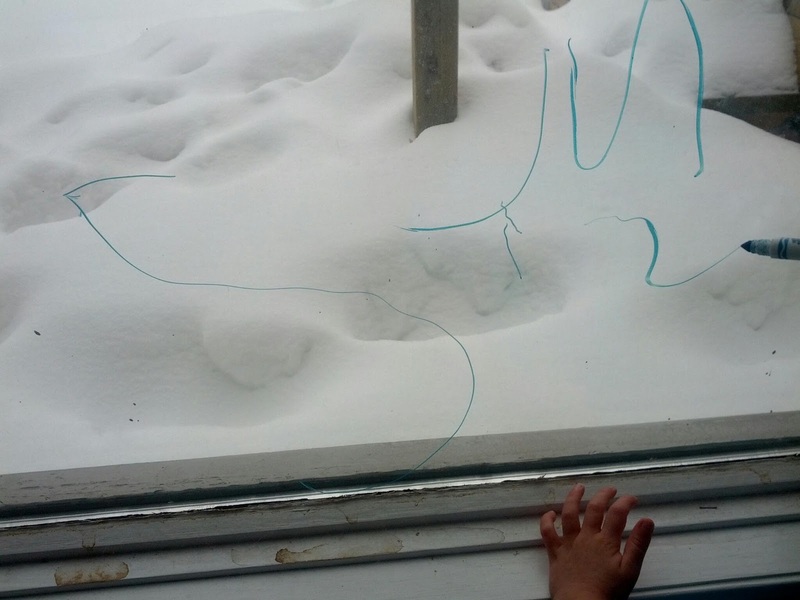 Okay, I love window markers. Usually, we use them on the mirrored closet doors in our dining room, but I thought it would be a good idea to switch things up a bit. So I pulled back the couch in our living room and let the boys color on the big window instead. 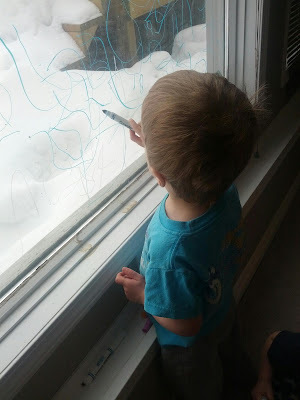 There is always lots of scribbling, colored fingers, and, of course, some number writing by J. I was actually surprised that the first thing he did this time around was to write the word "SUN." The word "SUN" and the numbers 1 and 2 below. Backwards N's are awesome, don't you think? K needs to use a lot of muscle to get those lids off! Putting the lids back on. As usual, they had a blast! 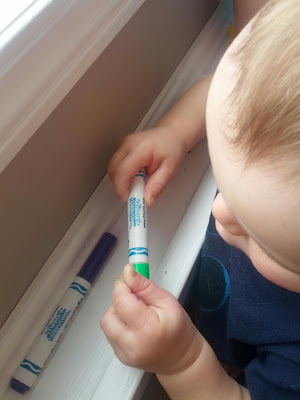 Are they different than dry erase markers? We've got a great window for this, and it would get me to wash the dog nose marks off too! Good question. 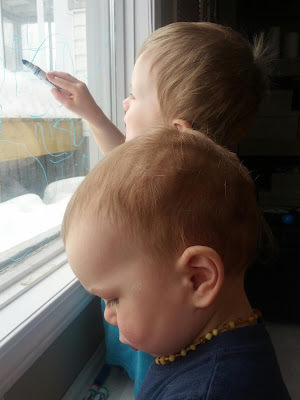 I am not sure if they are different from dry erase markers or not, but the Crayola window markers are what we use. The colors are nice and bright, dry quickly, and wash off super easy. We have some mirrors on our entryway closets that could use some color!!!!!! what age did your boys start using these? K started when he showed an interest in coloring so before he turned 1. 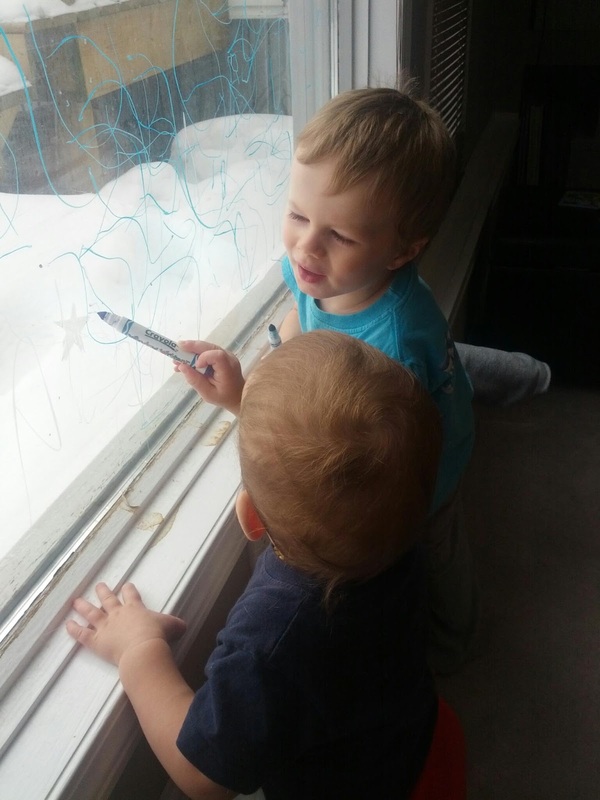 They do make window crayons too which I think are geared towards smaller kids. Picked up both the crayons and markers today. :) we did a bit of scribbling on the mirrors, but zack is just not feeling well and doesn't want to play he just wants to be held today. Looking forward to future colouring. Hi Dyan! I hopped over to your blog a couple weeks ago to read around and just did again this morning. I love finding other momma's of boys, especially toddler boys and ESPECIALLY ones who cloth diaper! I can't wait to read more and follow along with your adorable family. Wanted to say thanks for the parachute idea. 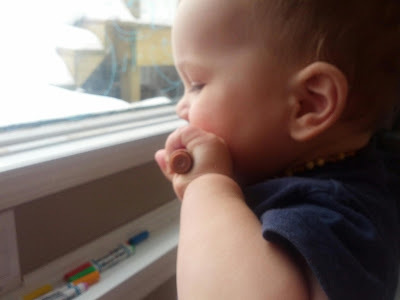 Drew loves the one at Gymboree and who knew it would be so easy to make one at home! Also wanted to invite you to our Easter Basket Showcase link party this Thursday the 28th. I'd love to have some crafty moms like yourselves link up to show off their Easter baskets or any easter decor! Thanks, Sarah! Glad you are enjoying my blog. I will definitely check out your showcase link. Also, the button is over to the right side on my blog below my 'about me' section. Would love to have you join!